This post was written by Josh Murdock, Orlando Startup Weekend Education Organizer and was originally posted on his Professor Josh blog. Many of us have 8am-5pm jobs. But there are always these things called weekends that give us an extra 54 hours of time to explore, relax, learn, and build. What can you do in 54 hours? How about creating a startup business that solves a problem in education. That’s what happened July 11-13, 2014 at Valencia College’s Collaborative Design Center on the West Campus. 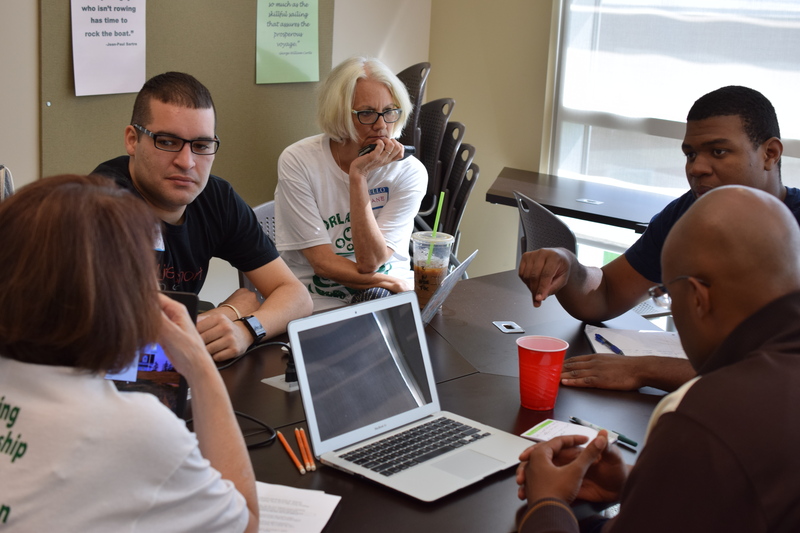 Fifty designers, developers, entrepreneurs, and educators came together over a weekend to create seven amazing companies in 54 hours at Orlando Startup Weekend Education. Many of the participants were from Central Florida but one came from Honduras and another from New Jersey to participate. Friday night both friends and strangers kicked off a weekend long journey to create a startup business from just an idea. Over 24 participants pitched their own ideas that would solve educational problems. Afterwards all the 60 second pitches, came a vote by all those participating on which ideas were their favorites. Educators votes were worth double, since it was education focused Startup Weekend. Narrowed down to form seven teams ranging from ideas that would attempt to solve a national problem concerning the lack of girls going into STEM careers to a solution that tries to connect teachers and potential guest speakers in an easier way. I was the main organizers for this weekend. It’s my ninth time attending a Startup Weekend, typically attending as a mentor in the past. 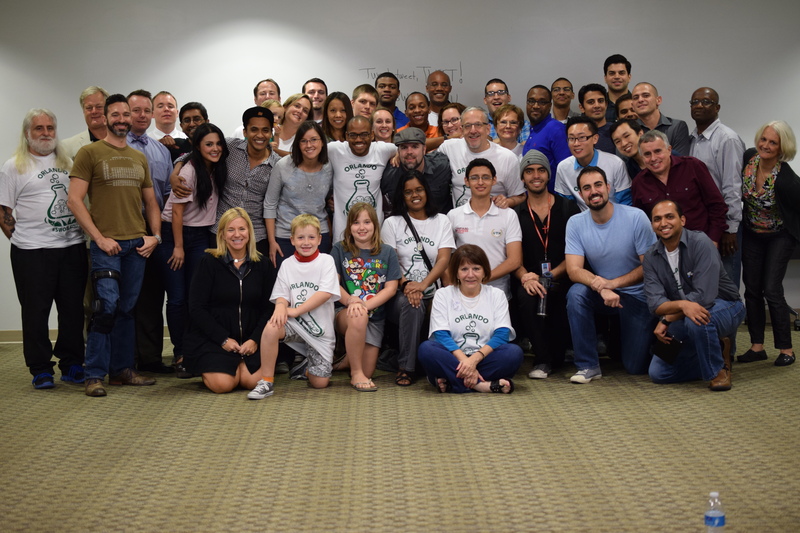 It was the third Startup Weekend Education hosted in Orlando, one of the few in the southeast. I’m always amazed at the journey these teams go through from just an idea to a potential business that could have a huge impact on education. Inspire Us: eHarmony for connecting guest speakers and teachers. Party Time: Time management app for college students. OE Scope: Turing optical microscopes into digital microscopes with a smartphone app and unique 3D printed adapter with lots of sharable features. Telling Tales: A storybook development website for developing reading skills. Learn Like a Girl: After school program for girls to get invovled and interested in STEM careers. Lab Safety: Digital lab safety courses for both students and teachers to prevent accidents from happening. Global Glass: Non-profit connecting Honduras (or other countries students/teachers) to teachers or retired teachers in the United States digitally for assistance and tutoring. Sunday is the final push to develop a quality pitch that will impress the judges. Teams continue to build, validate, and get assistance for mentors along the way. Practicing pitches and being comfortable sharing your ideas in a simple to understand format is a key to success. Areas the judges focus on are customer business validation, education impact, user experience design, and product execution. 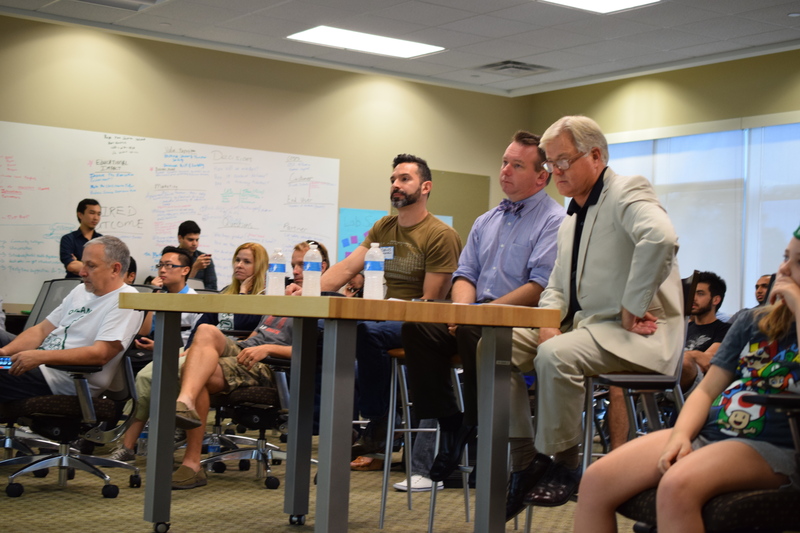 The winner of July’s Orlando Startup Weekend Education was Inspire Us, bringing professionals into the classroom. Dr. Sandy Shugart, President of Valencia College was one of the judges. “Not many one-weekend co-curricular experiences are genuinely transformational. But Startup Weekend truly is.” stated Shugart. After the weekend is over, it’s not the end for the winning and losing teams. It’s a chance to decide if they want to continue their journey in entrepreneurship and educational change. It’s an opportunity to connect again with those friends you met for the first time over the weekend. It’s a time to get involved in local meetups, such as EdTech Orlando (edtechorlando.com) that talk about the need for change in education year around. Interested in learning more about Startup Weekend Education? 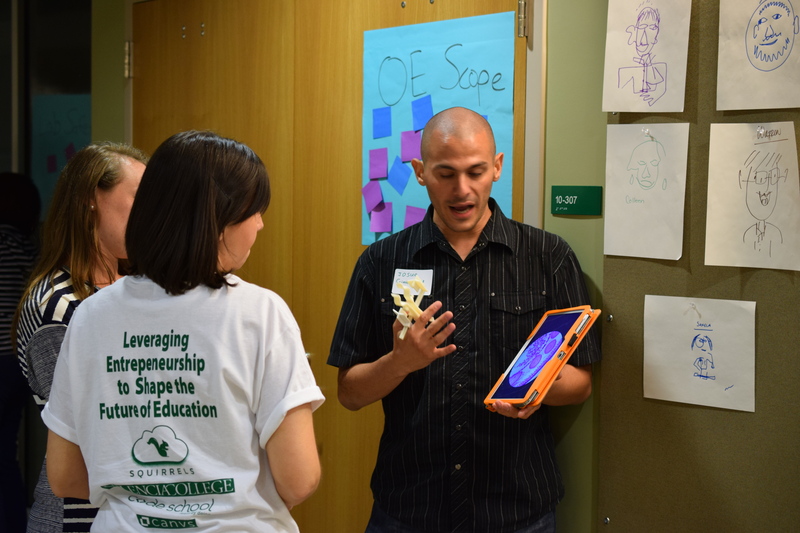 Visit startupeducation.co and search for #SWORLEDU on Twitter to see what happened at this weekend’s Startup Weekend Education Orlando event.